Within sight of Diamond Rock is a unique memorial. 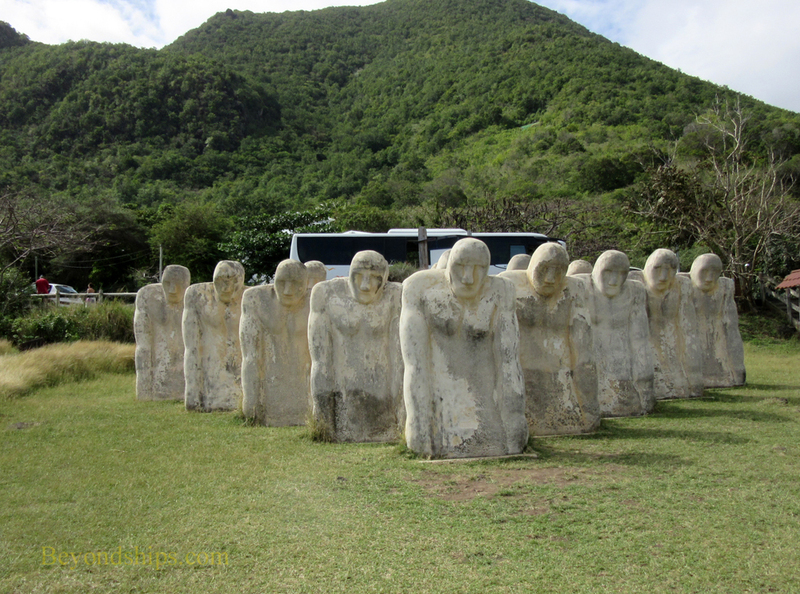 Located on a grassy field that slopes down toward the sea is the Anse Cafard Slave Memorial. In 1815, the importation of new slaves into the Caribbean was made illegal. Nonethless, the slave trade continued sereptitously with the slave ships using the cover of night to hide their activities. On the night of April 8, 1830, one of these slave ships ran aground near the Diamond Rock. A local plantation owner and his slaves, managed to save 86 of the African captives. Stll, at least 46 people died in the wreck. The four white sailors were buried in the local cemetary. The 42 Africans were buried where the memorial now stands. The memorial consists of 15 concrete figures standing in a triangle. Each figure is eight feet tall and weighs four tons. 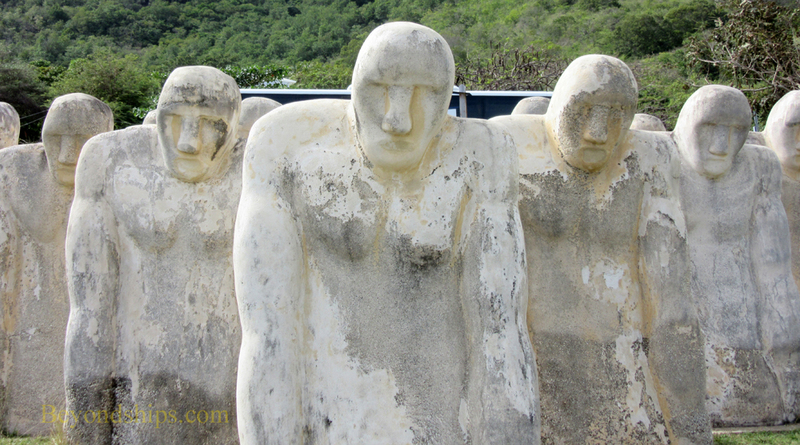 Roughly sculpted, they symbolize strong individuals bowed at the shoulders due to the weight of slavery. 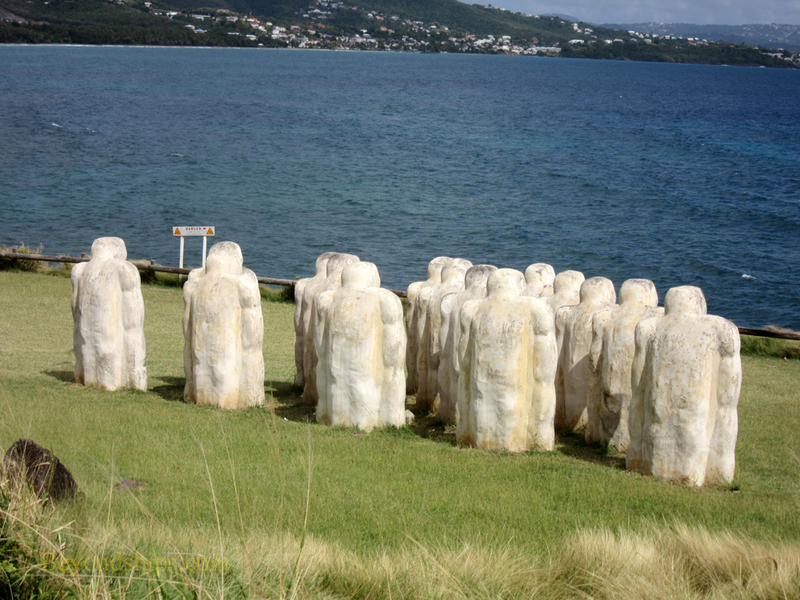 They stand in a triangle to symbolize the triangular slave trade between Africa, the Caribbean and America. They look out to sea in the direction of Africa. 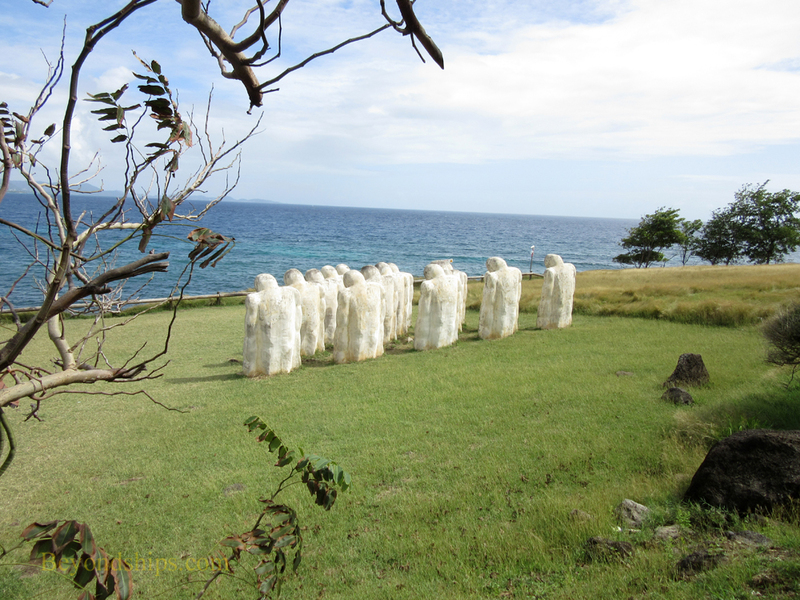 Martinique artist Laurent Valere created these sculptures. The memorial was completed in 1998 in commemoration of the 150th anniversary of the emancipation of slaves in the French West Indies.